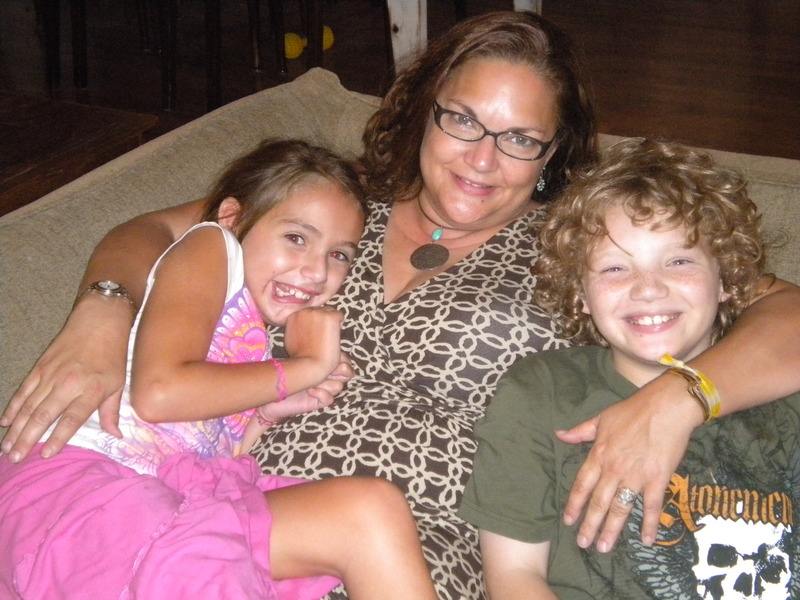 This week in my SPOTLIGHT CORNER, I am so very proud to welcome Julia Roberts of Support for Special Needs. 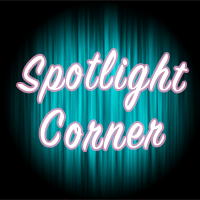 I am so proud to have her here in the SPOTLIGHT CORNER because she is just AWESOME!! As a parent of a child with Special Needs, I can’t begin to tell you how her words and the support of the community that she has created have helped me and my family, and although she believes that she is getting so much in return from the community she has created for families with children that have special needs, I assure you – we would be lost without her gentle support, fierce advocacy and love. I look to Julia when I am at my wits end, when I have an IEP coming up and when I just want to celebrate a good day with my son. She’s been in my shoes, she wears them well, she is my constant reminder that sometimes I have to run in heels to advocate for my families needs and its not impossible to run my race wearing shoes that I have been assigned. Without further delay here is Julia’s perspective on How Blogging has impacted her life. When I started blogging in 2004 I mainly did it because I was exhausted from telling multiple people about the day, or the week, or the appointments that were changing our lives at lightning speed. In 2001 at two days old, our daughter was diagnosed with a rare kidney disease. Three months later our then 3 year-old son was diagnosed as well. A myriad of appointments, treatments, more diagnoses and wanting to update friends and family as to how we were doing brought me to blogging. I didn’t realize it until I’d been blogging for a couple of years that blogging became my therapy. While I was meeting people and finding support, I was also finding my voice; my voice as a mother, wife, volunteer and advocate. I often blogged through the issues I was having difficulty processing. When I wrote the words that would become my best posts they were often of me realizing how the Sad Mom was really just a Regular Mom. Yes, more baggage. Yes, more stress and I’d venture to say more expensive and time-consuming, but in the end I was a mom who loved her kids and wanted to fight for them fiercely if needed. So basically the same as all the mothers I knew. So I cried, fought and celebrated online. Through the devastating news of our son starting emergency dialysis to save his life and what we went through to fight an impossible system to keep our daughter off dialysis and move to transplant preemptively. I can’t say that I was ever prepared for the nearly 2 years that our son was fighting debilitating depression. In a matter of a few months he went from a happy, energetic child after his kidney transplant to one who wanted to kill himself. While we were in the midst of finding the right treatment a blog reader reached out to me because as her younger self she could identify with what my son was going through. While I certainly think we would have ended up with our son mentally stable, I think the road would have been much harder without having met her. On a particularly hard stretch of days watching him suffer, she reached out to me with maybe the kindest thing anyone has ever said to me. She said that what I was doing was enough, and while my son couldn’t get out of his depression with my love and patience, just the fact that I was witness to his experience and that I kept telling him and showing him we would find a way to reach him, it was enough. She told me he heard me even if he didn’t acknowledge it. She told me when he had rages that lasted hours that he would appreciate us carrying on to the next task, that sometimes he just needed to know that we weren’t falling apart as a family. Blogging led me to co-found Support for Special Needs, a social network community for parents of kids with special needs as well as the professionals that serve them. The experience of managing a community has been a terrific way to give back but honestly, I get so much support and knowledge from other people. I’m so proud to have been a part of building it and I hope it continues to grow. In short (well, maybe not so short), blogging has brought me support and information to get through a maze of special needs parenting, but it’s also helped me find myself. Blogging, in a lot of ways, helped me figure out the kind of woman I wanted to be in this phase of my life and I am so grateful. Julia Roberts married into the name. In case you didn’t know, (the famous) Julia Roberts will not call your establishment to make her own tire rotation appointment or to argue about her cell phone charges. To make matters worse, this Julia Roberts husband’s name is Julian. They own a marketing firm together. They know. It’s a bit much for them, too. A geneticist’s dream, they produced two cute kids with a rare syndrome that includes a vision disorder and a crazy kidney disease; resulting in weirdly moving eyes and kidney transplants for both at age of 8. She’d like to dispel the myth that they are heroic; they talk about their kids’ poop just like the rest of you mere mortals. Julia speaks to groups on topics about navigating life as a special needs family. She blogs at Kidneys and Eyes and created a social networking site for special needs families, Support for Special Needs with friend/writer/blogger Dawn Friedman and she helps her daughter with her blog, at I Wanted a Blog. You can find her on twitter as @juliaroberts1 and @supportSN. This entry was posted in Family, Uncategorized and tagged Family Support, Special Needs by justagirlinsf. Bookmark the permalink.